You may think that shipping is boring, but the thing is that a large part of your business is actually dependant on logistics. Are you wasting too much money on shipping materials? Who is packaging your products? Who is actually fulfilling your orders? Are your clients happy with the amount of time it takes them to receive the products they ordered? Well, in order to make sure that each and every client of yours is going to be happy with your services and product, here are some useful tips you can consider implement in your business as soon as possible. One question that most companies will have to ask themselves sooner or later is whether they would like to partner up with a product fulfillment company or just make it in house. If you would like to use a third party company to help you with this, then you’d need to outsource it to a reliable one. If you do this, then when someone is going to place an order on your website, the item is going to be selected by the third party company, packaged appropriately and then sent to the customer that ordered it. The good news is that a lot of these companies will also handle returns. Because you’re a company and you’re going to send to a lot of packages, it’s best that you consider setting up a business account. 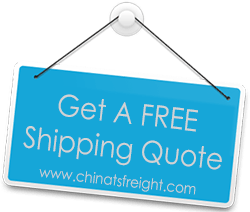 What makes these accounts a great idea is the fact that they offer you cheaper shipping costs and faster systems as well. Just make sure you choose a reliable carrier and everything is going to work out just fine. The type of supplies you’re going to use in order to package your products is very important as well. This is a decision that’s going to be based on your branding strategies and also budget, so that is why you need to ensure you locate one that is great for your needs. Prior to sending out products to your clients, you need to consider calculating your shipping rates. This is going to depend on where you’re located, where you’d like to send your items, and a few other factors. On top of that, make sure that you get a system that is also going to calculate the shipping rates for clients on your website.